Game running black screen with 12-40 FPS. Note that this will probably cause issues with other games, but perhaps the storage issues here will go away. If you did it right then the two errors above should not be there, and in that case, upload the new log file. Then delete the file system entry you just did. 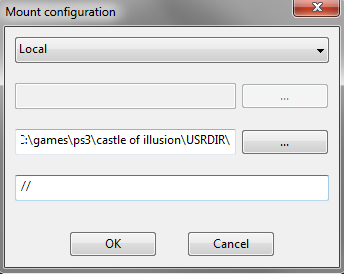 ssshadow, I've just added \USRDIR and it work fine. Now it shows only white GSFrame. (06-23-2014, 08:57 AM)AlexAltea Wrote: Please include the Title ID of the game and the log. Besides, I don't know about other but I don't consider black GLGSFrames to be relevant anymore. Perhaps black GSFrame + &quot;something&quot; in the RSX debugger? Games that goes this far are a bit closer to intro, and may be more worthwhile to look at. In any case, just update this post with new guidelines. Define &quot;works&quot;, please? Does it show anything new? (07-14-2014, 07:21 AM)derpf Wrote: Define &quot;works&quot;, please? Does it show anything new?